What to look forward to this spring, summer, and fall. 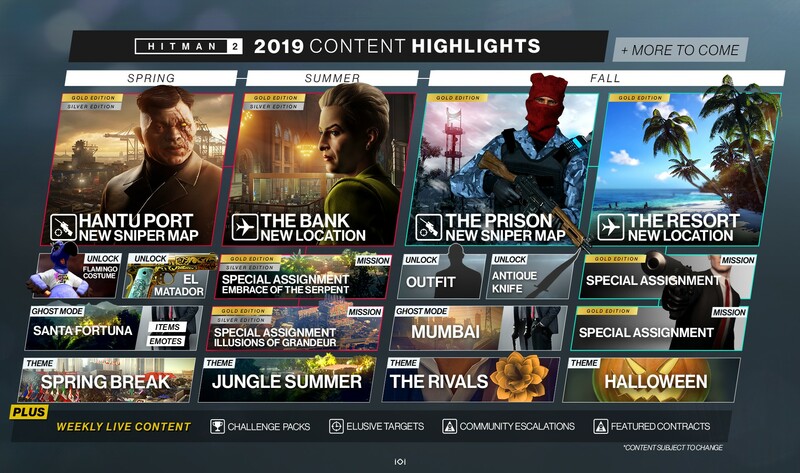 Publisher Warner Bros. Interactive Entertainment and developer IO Interactive have released the latest content roadmap for Hitman 2. Hitman 2 is available now for PlayStation 4, Xbox One, and PC. PC, PlayStation 4, Xbox One, Hitman 2, Io Interactive, Warner Bros.